The following is a selection of producers that we visited and whose wines we deemed of a superior quality. We are proud to feature these wines, many of which are not available anywhere else in Washington. The focus of our recent visit was the 2010 vintage. Due to Spring frosts and then hail storms, many producers reported losses up to 40% for reds. Whites faired better but some losses were noted. This means 2010 is an especially small vintage for red wines. The good news is that it was a very good vintage: well-balanced with good fruit and fewer tannins than recent years. This translates into a more precocious vintage and wines that can be enjoyed much earlier than recent vintages. In 2005, Domaine des Tilleuls saw a significant shift when Damien Livera took the helm. Damien has brought his youth and enthusiasm to work. He's made many improvements and has benefited greatly from the wise council of some of the regions great producers. The domaine, though small, is one to watch with two new “village” parcels, increasing its already prime property in Gevrey-Chambertin, including: Chapelle-Chambertin Grand Cru, Clos Village, and varying amounts of Fixin, Cote de Nuits-Village, and Bourgogne. These wines are masterfully structured with good balance and fruit; they are already drinking well! We are proud to carry these fine wines. Leclerc's labels haven't changed much in one hundred years. This speaks more generally about the philosophy of winemaking at this domaine. With little regard for the opinions or tastes of others, René has been making outstanding wines that hold a unique position among burgundies from the Côtes de Nuits. They express purity and a tremendous capacity for aging. René has turned over the operation to his children now. 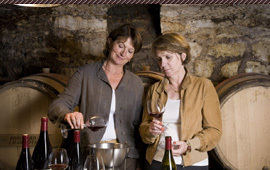 François makes the wine while his sister, Anne, manages the commercial end of the domaine. François has clearly chosen to carry on in his father's footsteps, marching to the beat of a different drum. And we're grateful for it! We are proud to introduce four wines from Domaine Gallois to our store as well as to Washington state. Jeanne-Marie made sure that we tasted this very small and very fine producer on our recent visit and we're glad that she did. The winery is located in the historic heart of Gevrey-Chambertin and covers in total a mere four hectares of Bourgogne, Gevrey-Chambertin Villages, Gevrey-Chambertin 1er Cru vineyards, and Grand Cru Charmes-Chambertin. Vines range in age from 40 to 100 years old. At this family owned and run winery, wine is produced based on two principles: Respect and Modesty; respect for the tradition of winemaking passed down for generations. And we do believe them to be quite modest about the fine quality of wines being produced. Welcome, Domaine Gallois! 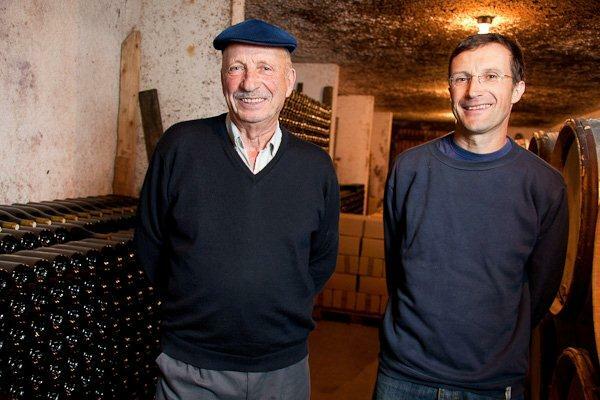 The Magnien's have been producing wine for 4 generations. They still use the original family home and cellars that date back to 1789 and the French revolution. Their small vineyard of about 11 acres consists of vines that average 45 years old. Since Stéphane has taken over the domaine from his father Jean-Paul, they have shifted to natural and organic farming practices. The care that has been given to the soil has really shown itself in their wines. On our last trip to the vineyard in March '09 we were very impressed by their '08 vintage of red burgundies. We have selected two 1st crus and two village wines from the 2008 vintage to carry this year. Just down the road from Domaine Magnien is the Lamarche family, whom we have been visiting for over 25 years. 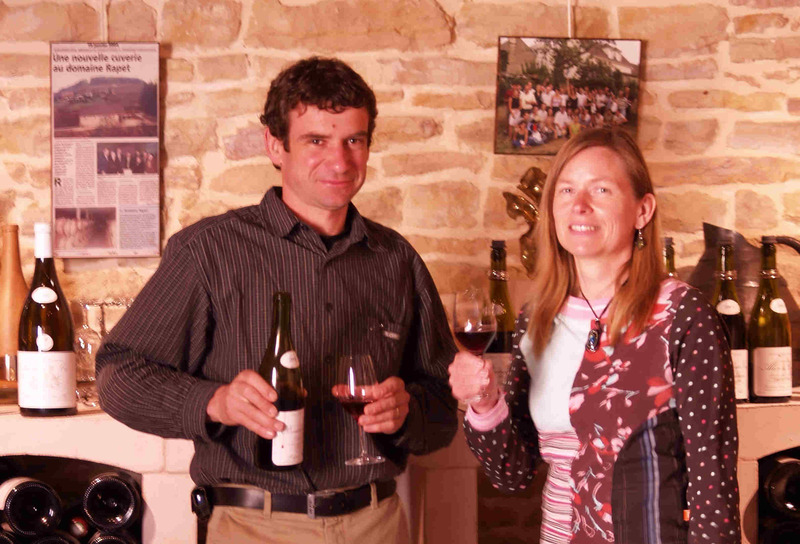 François and his wife, Marie-Blanche, have consistently pro- duced stellar vintages over the years. Now owned by their daughter, Nicole, and her cousin, Nathalie, Lamarche has two fresh faces to represent its rock star position held in the region. When we recently arrived for our annual tasting, we were greeted by the fashionable Nathalie, who occupies herself with the business of running the vineyard. Nicole, equal- ly stylish, heads up the winemaking. But style is not all these young women have to of- fer; they’ve made improvements on an already extraordinary product. Nicole’s degree in viniculture, combined with years of experience passed on to her from her father, has brought the domaine to an exceptional new level of wine making. They’ve also imple- mented organic farming practices which we are very excited about. As a testament to their hard work paid off, Lamarche’s 2008 Grand Cru Clos de Vougeot was the highest rated wine, with 19/20 points, in a horizontal tasting which included 57 of the best pro- ducers from that grand cru. In 2010, we’ll be carrying 5 of Lamarche’s red wines, ranging from their top flight Grand Crus to their basic Bourgogne. Lamarche is an excellent example of how University Wines’ long history of visiting the region enables us to bring you wines that would other- wise be impossible to obtain. Enjoy! All of the Jean Fery vineyards are old - most more than 50 years. They produce less, but the quality is superior. They practice traditional plowing and exclude the use of weed-killers, chemicals, and synthetic products. They have evolved into a domaine with a strong focus on bio-dynamics. This method is based on plants and comports, which allows the vine to naturally strengthen its health and immunities in balance with its environment. Their outstanding wines are the result of their sorting table for harvests of impeccable quality, their gentler pneumatic press for juices all in finesse, the control of temperature for cold macerations, and long and natural fermentations without artificial yeasts. Wines are matured for 18 months in French soft tannin oak barrels for a delicate harmony with the aromas of the wine. 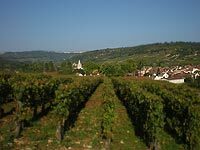 Located in the small village of Pernand-Vergelesses, just north of Beaune, this family domaine was established in 1765 and consists of about 44 acres in the villages of Pernand-Vergelesses, Savigny-les-Beaune, Aloxe-Corton, and Beaune. Rapet offers a range of wines, both red and white. Vincent Rapet, the current proprietor, remains true to a style he learned from his father and grandfather before him: full bodied with subtle flavors. Meticulous care from the fields to the bottle ensure a minimum of handling and preservation of the grapes' rich flavors. The wines if cellared continue to improve with age. Over the years, Rapet has been a consistent gold metal winner at the famous "Concours General Agricole" in Paris and continually receives high ratings from several wine publications. 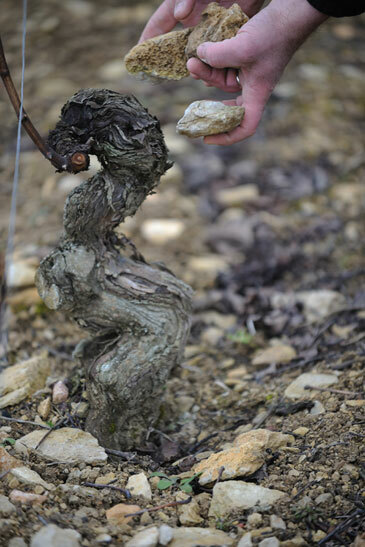 The famous “Clos du Roi” vineyard holds a curious place in wine legend. The story goes that Louis XIV's mother, Queen Anne of Austria, was unable to conceive until she drank the wine from this walled vineyard after which time she became pregnant with the future “Sun King.” Throughout his own life, Louis XIV is said to have visited the vineyard often to drink in the juice that brought him into being. On our recent visit, we made sure to save Rapet for the end of the day to savor these phenomenal wines. And to our surprise and utter delight, Vincent brought out a '72 Corton. We thought we'd died and gone to heaven! The Billard wines have an outstanding reputation for superb quality. The '08 and '09 vintages were some of the best we tasted in recent trips. We're happy to report that this remains to be the case. Several of the vineyards are composed of older vines. These include “Milliane,” an homage to their maternal grandmother and all the women who've dedicated their lives to the domaine. We bring in all six of Billard's wines, which include two bourgognes and two wonderful premier crus. In 1976, Laurence Jobard made history for women winemakers everywhere when she was hired by Robert Drouhin, of the renowned Maison Joseph Drouhin, to be Drouhin's enologist. A woman in such a position was nearly unheard of at that time in Burgundy, let alone France. Drouhin's risk resulted in a remarkable series of vintages. 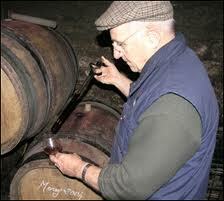 Laurence headed up the winemaking at Drouhin for over 30 years and helped make Drouhin what it is today. The Lafouge family have a small domaine of only about 24 combined acres of vines, mostly located in Auxey-Duresses with one vineyard located in the famous town of Meursault. They are now into their 6th generation and their extraordinary wines are proof of their passion for winemaking. Jean Lafouge is one of the friendliest individuals that you will ever meet. He truly enjoys life and has a knack for making you feel welcome at his domaine. This warm hospitality has continued with his son, Gilles. In over 25 years of visiting their family vineyard, we have had the pleasure of watching Gilles grow into one of the premier winemakers of France. Gilles has taken over winemaking from his father and he has done a marvelous job. The 2008 vintage is an excellent example of his fine work and dedication. Where some wineries struggle with the tricky growing seasons, Gilles seems to flourish. Hailed for a purity of style, there is rarely if ever a harsh word spoken of Paul Pernot's wines. Judicious use of new wood, striking minerality, and generous fruit combine in Pernot's wines and the result is always rewarding, while good acidity ensures that these wines age gracefully. At Pernot, we got one of only a few sneak peeks at the 2011 vintage and we're very excited. Every wine we tasted was noteworthy from the Aligoté to the Bâtard-Montrachet! Though fast approaching the ripe age of 80, father Paul Pernot remains an integral part of the operation, along with his sons, Paul and Michel. Together they produce a range of delicious and now world famous wines. These wines are limited. Harvested manually in a biodynamic style, following the lunar calendar, this small, self-sustaining domaine of seven hectares produces spectacular wines. Meticulously run, the emphasis at Bonin is on organic farming practices in the vineyard so as to produce the healthiest grapes possible. We first tasted Bonin's wines in 2005 and were very impressed. We continued to taste for three consecutive vintages and were equally impressed each time. Confident that this relatively newly owned estate (1999) was producing not only good wine, but consistently great wine, we purchased the '08 vintage and are happy to report 2010 is no exception to their high standards. 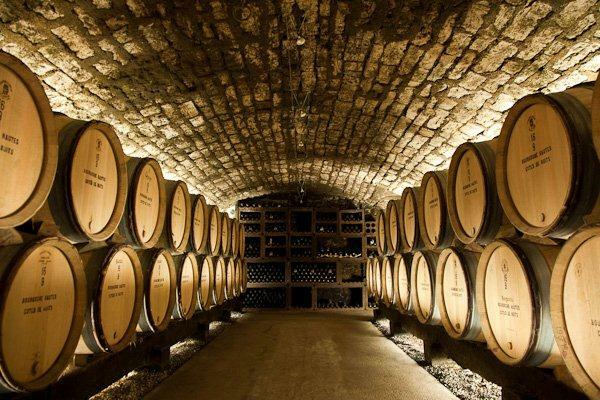 Wines are aged in barrel for 18 months prior to bottling, which is done without fining or filtration. Only Chardonnay is grown on this estate and the wines, though aged in barrels, do not exhibit oaky characteristics. 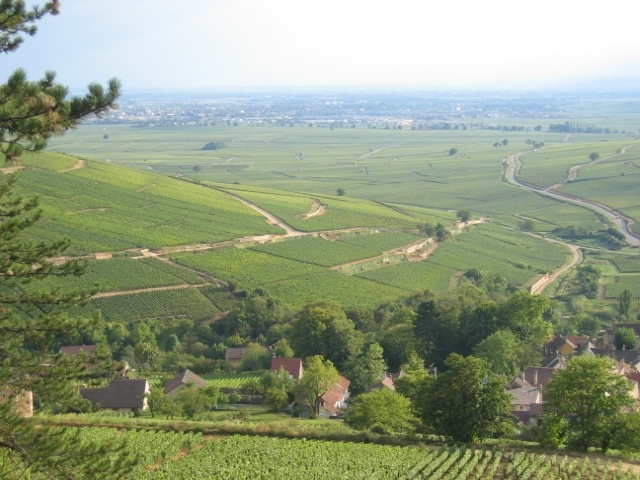 Instead, they embody the style of the vineyards in the southern aspect of the Cote de Beaune. 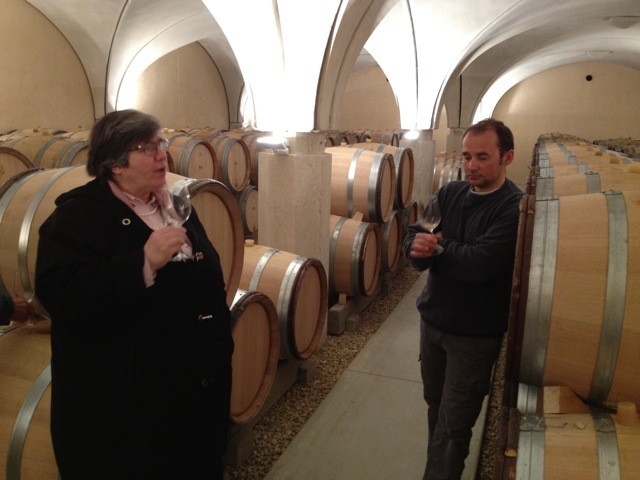 Taken during our most recent visit, the legendary Jeanne-Marie enjoys a taste in the immaculate Bouzereau cellars with rising star Burgundian producer, Jean-Baptiste, one of our most beloved white wine producers. 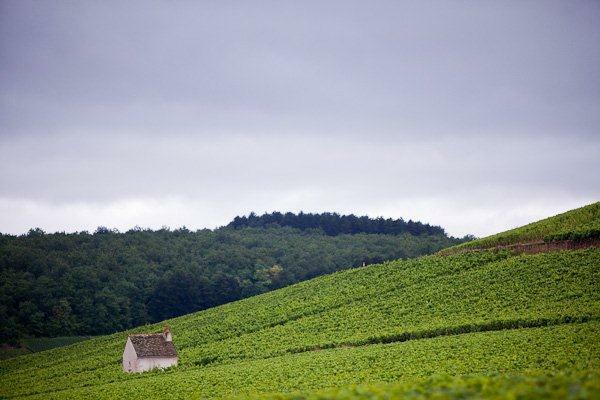 The Bouzereau family has been cultivating their vineyards in Meursault for more than 10 generations. The estate, located in the village of Meursault itself, consists of 32 plots spread over best vineyards of Meursault and Puligny. The vines are planted in the traditional style of 10,000 plants per 2.5 acres. The soil in the vineyards are plowed and chemical fertilizers haven't been used in the last 12 years. Harvesting is done manually and fermenting is done in barrels at low temperature for 3-4 months to get the maximum richness and fat. Jean-Baptiste, has taken over most of the work from his father, Michel, and is currently establishing himself as one of the great winemakers of Meursault. Over the years, Clair has been growing with the purchase of additional parcels of Chardonnay vineyards. The majority of these vines are located in Saint-Aubin, which is also home to the wine storehouses and birthplace of Françoise. With vineyards covering 15 hectares (65% red and 35% white), Domaine Clair produces and bottles roughly 75000 bottles on site. Since 2000, the son, Jean-Baptiste, has been working together with his parents to create an even greater scope of wines, resulting in some particularly pleasing whites. One of our most recent acquisitions, we first carried Jouard's '07 vintage and have been pleased to do so every year since. 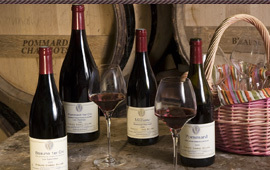 Though relatively new to us, Jouard has been making wine for six generations. 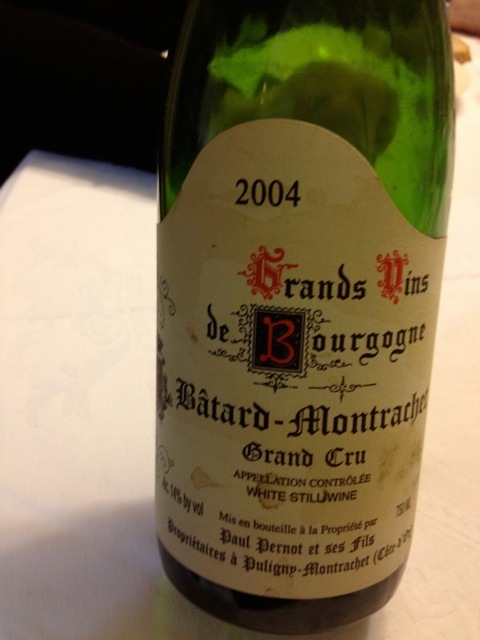 Consistently delicious at every level from Bourgogne to Bâtard-Montrachet. New oak used judiciously with prominent terroir; these are great vineyards. Domaine Jouard blew us away with its cleanliness, with floors clean enough to eat off. No detail left undone. They've even managed to surprise us with an uncharacteristically well-balanced and elegant red Chassagne-Montrachet, which we're happy to carry in addition to several of their whites. Chapeau!